Teamwork: In today’s workplace, it’s the new normal. Organizations of nearly all sizes and industries find that activating high-performance teams can deliver dramatic results. These teams, unlike those of the recent past, prominently include people from outside the organization, such as contractors, suppliers, and consultants as well as colleagues in disparate locations. Integrating workers who might be telecommuting or working flexible hours. Reacting to new business drivers such as speed to market, mobility, and globalization. 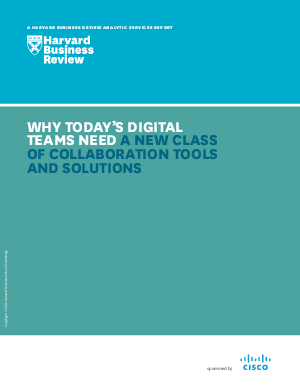 Present collaboration tools that fall short on supporting the depth, pace, and style of teamwork now required to remain competitive.